What does a cheese have to be considered as a Manchego? 1. What does a cheese have to be considered as a Manchego? It is developed in the region of La Mancha and derives from Manchego’s milk sheep. Manchego sheep comes from central Europe. Many years ago this breed crossed the Pyrenees and settled in the region of La Mancha, where it started to adapt to the climate and finally settled down for forever. Over the years it has been possible to tame this animal, in order to improve its breed and also keeping it pure as it is not allowed to cross it with other breeds. By this way, Manchego’s sheep had been able to keep their own qualities and original features. Thus, for many years and generation after generation, in La Mancha is made this exceptional cheese highly popular not only in Spain, but also worldwide. 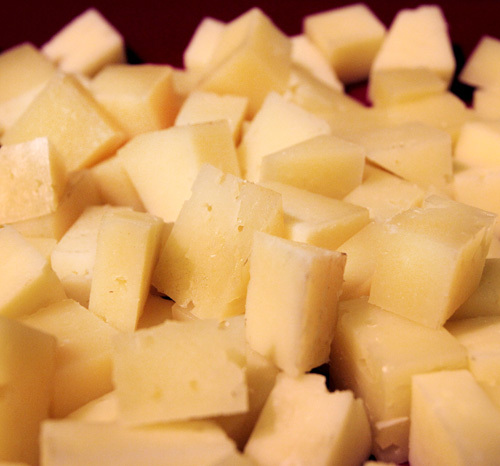 Manchego cheese can be made from pasteurized sheep's milk or raw milk. 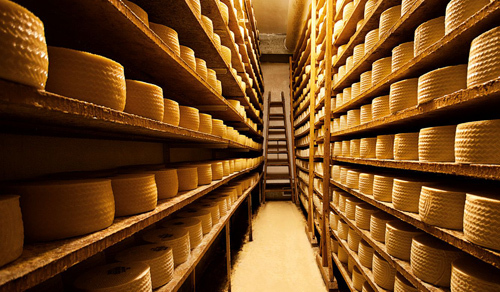 With the sheep’s milk it is elaborated pressed cheese, which will mature at least 30 days for cheeses of 1.5 kg or less, and a minimum of 60 days for the rest of chesses. The maximum maturity will be of 2 years. 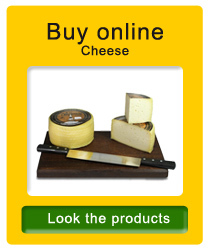 It is a fatty cheese, with an intense and strong flavor, and an acid point. In cured cheeses a spicy dot appears as well. The taste left in the mouth it is a pleasant one and very characteristic from Manchego’s sheep. Manchego cheese has a cylindrical shape with flat sides. Its crust is hard and clean with impressions of the molds. The color of the crust can range from pale yellow to greenish-black. The paste is compact and firm, ivory or yellowish white color. The mouthfeel is buttery in the semi-cured and somewhat grainy in the most cured ones. In order to appreciate all the qualities of Manchego cheese we need to take in consideration few things before serving and enjoying it. It is often said that cheese must be eaten at room temperature, but as the temperature is not the same in winter than in summer, it is best to mark a temperature. 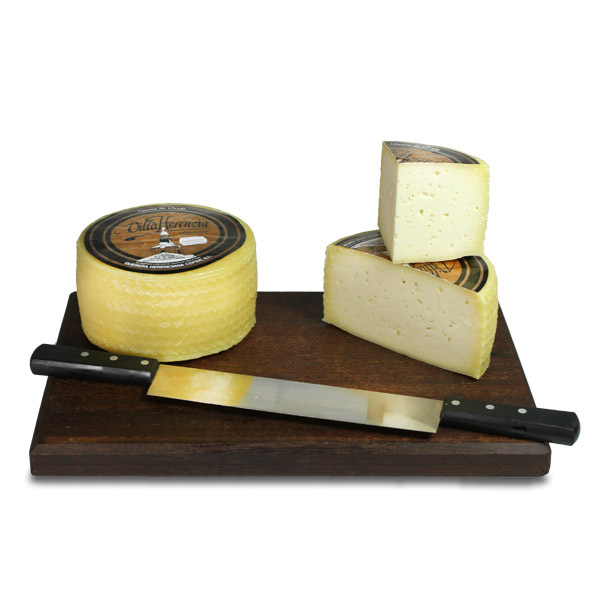 Between 16 and 18 degrees, would be the ideal temperature for tasting Manchego cheese. If we keep in the refrigerator, we should take it out from it about 30 min before eating. Portions should not be very large. If we keep for a while a small piece of it, we would be able to appreciate all the flavors that define this extraordinary cheese. We can cut it in dices as an appetizer or in not very thick triangles perfect for snacks, sandwiches or in a toast. Cheese is also an excellent dessert. In France it is very typical to find in the dessert’s menu a cheese board. Gradually, in Spain it is becoming more popular among restaurants. Who at home has not finished dinner or lunch with a few slices of cheese? When it comes to cheese and pairing probably the first thing that comes to your mind is the matching between cheese and wine. However, we should keep in mind that if we want to do a wine tasting, cheese will not be the proper option for it. Eating cheese before wine tasting will diminish our ability to perceive all the flavors of the drink. Fat cheese blocks flavor wine molecules. On the other hand, if our intention is to enjoy a nice cheese or cheese board, nothing is better than doing it while drinking wine. It is one of the greatest pleasures that gastronomy gives us. Semi-cured or soft cheeses can also be enjoyed with white, pink or young red wines. Also, good pairing option would be Fino or Manzanilla. Unlike wine, beer enhances the flavor of cheese. 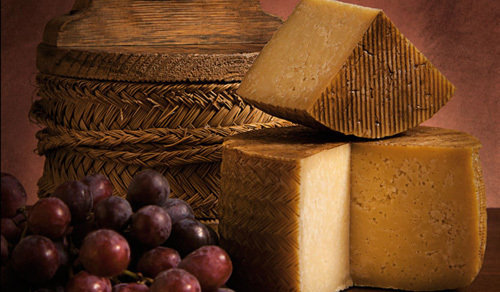 Its yeast, fruity and floral notes, combines perfectly with any type of cheese. It is very common to see cheese boards combined with nuts. The truth is that if we eat them (for example walnuts, hazelnuts, pistachios and almonds) between cheese and cheese, will help to clean our mouth and not to mix flavors. On the contrary, dried fruit as figs, raisins, dates and so on, will help us to enhance the flavors of cured cheeses. We could not forget bread. There is nothing better than a slice of toasted bread with extra virgin olive oil to enjoy a good Manchego cheese. Or just a good cheese sandwich for breakfast or snack.